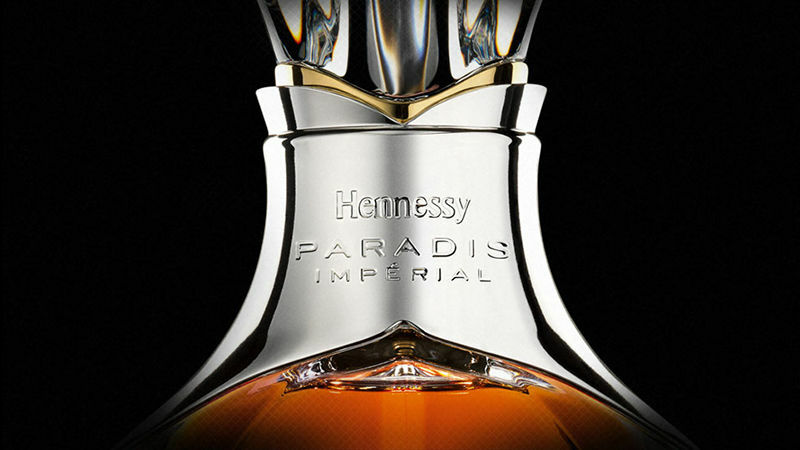 The Hennessy firm dates to 1765, when founder Richard Hennessy established a trading firm in Cognac. Eight generations of the family have taken an active role in the business, despite the fact that the enterprise is now owned by the global beverage giant LVMH (Louis Vuitton Moët Hennessy). Equally crucial to the continuity of the brand is the Fillioux family, also involved for eight generations as master blender from 1800 onward. While most of us are aware that Cognac is distilled from wine, this fact frequently gets lost when we drink it. For one thing, the grape of choice is Ugni Blanc, a variety which lacks a fashionable reputation in most circles (when was the last time you settled on a bar stool and ordered a glass of Ugni Blanc?). In all but the finest Cognacs, the high level of alcohol (40% by volume) tends to obscure the properties of the base wine. Cognac has been with us for a very long time. The region is located north of Bordeaux, stretching roughly from Angouleme to the Atlantic Ocean. The Charente River and the port of La Rochelle assured the area of brisk trade, first in salt and later in wine. 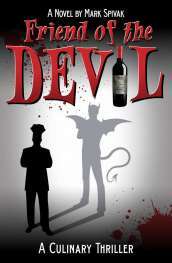 Distillation was introduced by the Dutch, who preferred to give their sailors brandy rather than wine. They installed pot-stills at Cognac, to distill the wine closer to home. Legend has it that a shipment of brandy stored in oak casks over a long sea voyage demonstrated the positive effects of oak aging, and Cognac as we know it was born. Today, the region is a collection of nearly 7,000 small farms. Some growers sell their wine to the major Cognac houses, while others have it processed by professional distillers (the equivalent of custom crush in Napa). Ugni Blanc may not be a household word, but it does yield a wine with high acidity and low alcohol, two of the essential qualifications for a base wine before distillation; Folle Blanche and Colombard add ripeness and fruit to the blend. Distillation begins after harvest in October, continues through March, and is a two-part process. The wine is first passed through copper pot-stills to produce an intensely floral distillate called brouillis. Then the brouillis itself is distilled, yielding a clear eau-de vie. It takes nine liters of brouillis to make one liter of eau-de-vie. The finished product is then aged in Limousin oak casks, where it takes on its distinctive amber color and becomes Cognac. Everything changes, and Hennessy has adapted seamlessly to the 21st century market. They maintain a strong presence in the nightclub scene and also promote Cognac as an accompaniment to food, suggesting some interesting matches: rich, fatty foods such as blue cheese, foie gras and short ribs; Chinese dishes, particularly Shark's Fin Soup and (believe it or not) sushi. 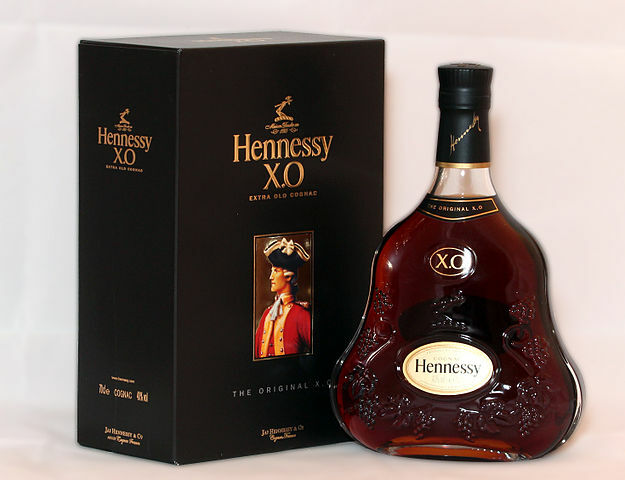 This was the first XO, initally bottled in 1870 as a private Cognac. Dark copper color, with green tints around the edges. Sweet caramel notes combine with floral accents on the nose, along with deep and fundemental earthy aromas. Ripe, smooth entry. Rich chocolate flavors echo on the palate, with undertones of citrus and spice. This is layered and complex; the finish is long, with the flavors reverberating and intertwining. "An old-fashioned Cognac," according to Maurice, "very virile, spicy and strong." Medium copper, with a slight green cast. High-toned floral aromas dominate the nose, with vanilla notes mixing with the scents of lavender and violet. Sharp and lilting on the palate, very different from the XO; lots of vibrant, spicy edges, yet elegant and focussed at the same time. The flavors sing on the finish. A blend of over 100 different Cognacs, dating back to 1830, packaged in a Baccarat decanter. Medium copper, green edges. Profound nose, with aromas of melting milk chocolate, spring flowers, ginger and orange marmalade. A soft and ripe entry is followed by a spunky midpalate, with a sensory overload of bright fruit flavors: orange and lemon zest, grapefruit, pomegranate. The finish is long, as profound as the nose. A remarkably complex and satisfying Cognac. Share your comments with the community! Do you like Hennessy Cognac, or is there another brand that you prefer? Do you like drinking Cognac straight, in a snifter, or is it better in cocktails? Share your thoughts.